Basic custom imprint setup & PDF proof included! Lose yourself in the photos of this historic South American land. 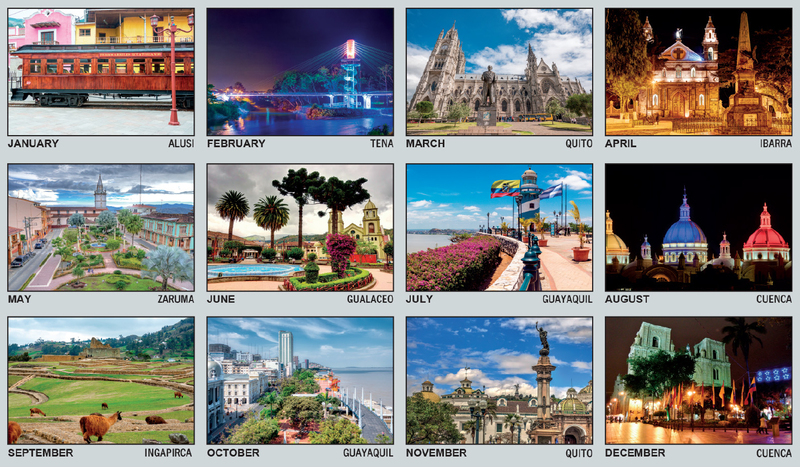 Come to The Galapagos, Quito, Cuenca and Guayaquil and see why this country is called the "Andean Treasure." 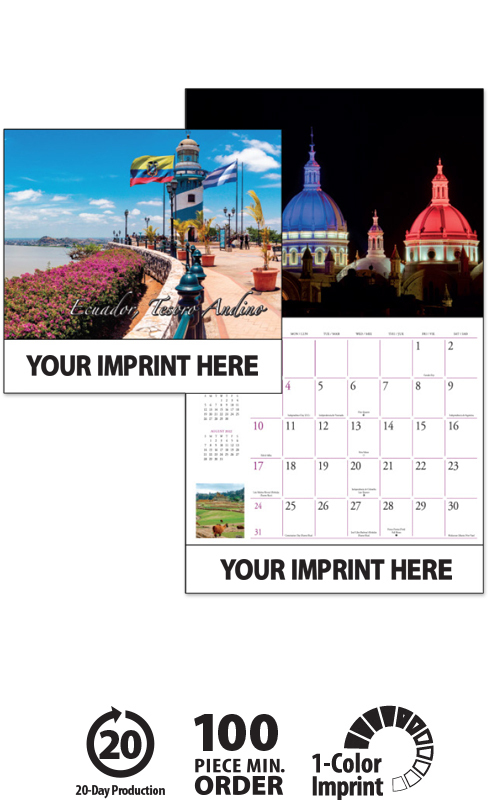 This promotional wall calendar features an English and Spanish date pad. 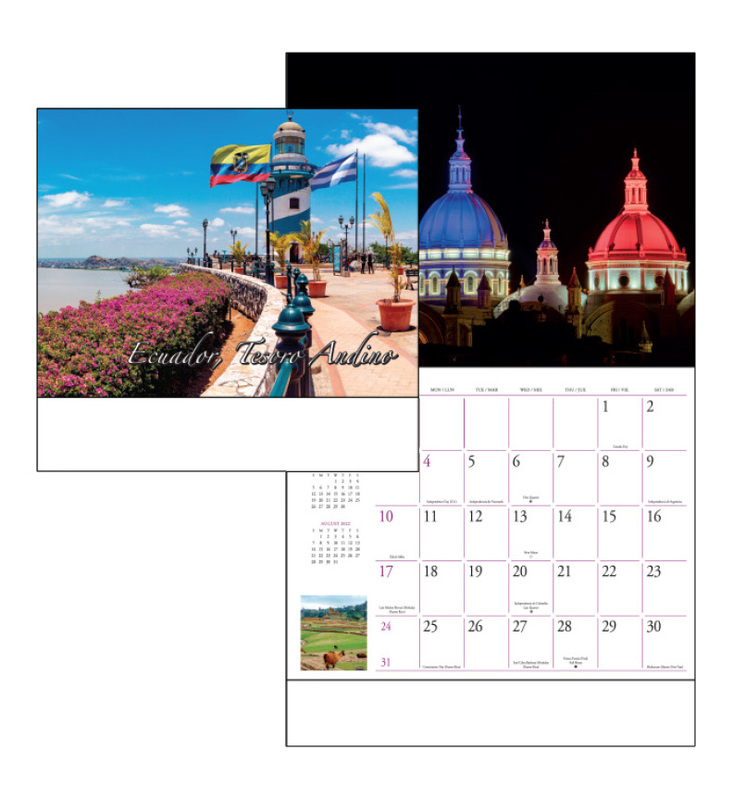 These high-quality Promotional Scenic Ecuador Calendars will proudly display your message for the entire year!